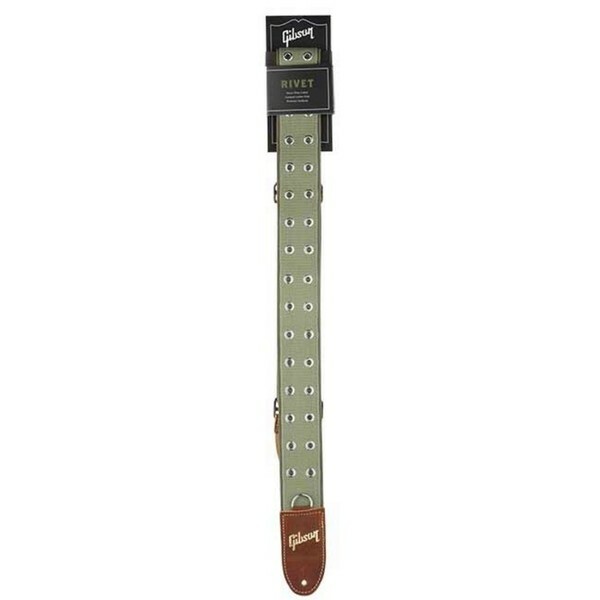 Add the finishing touch to your guitar with this Gibson guitar strap. 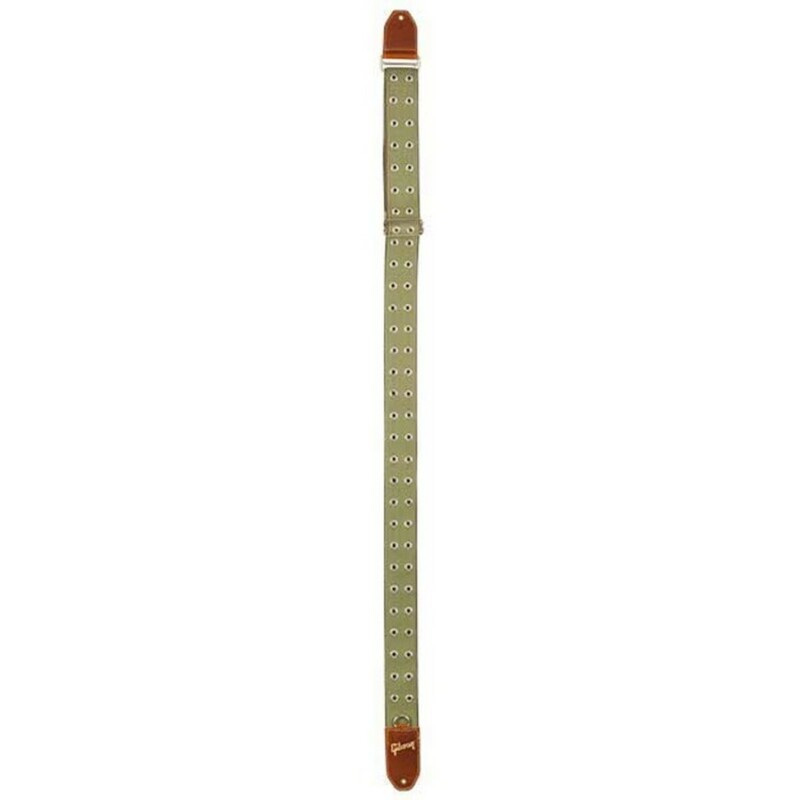 The heavy duty green cotton, brown leather ends and rivet details combine to make this a great everyday strap for all players. 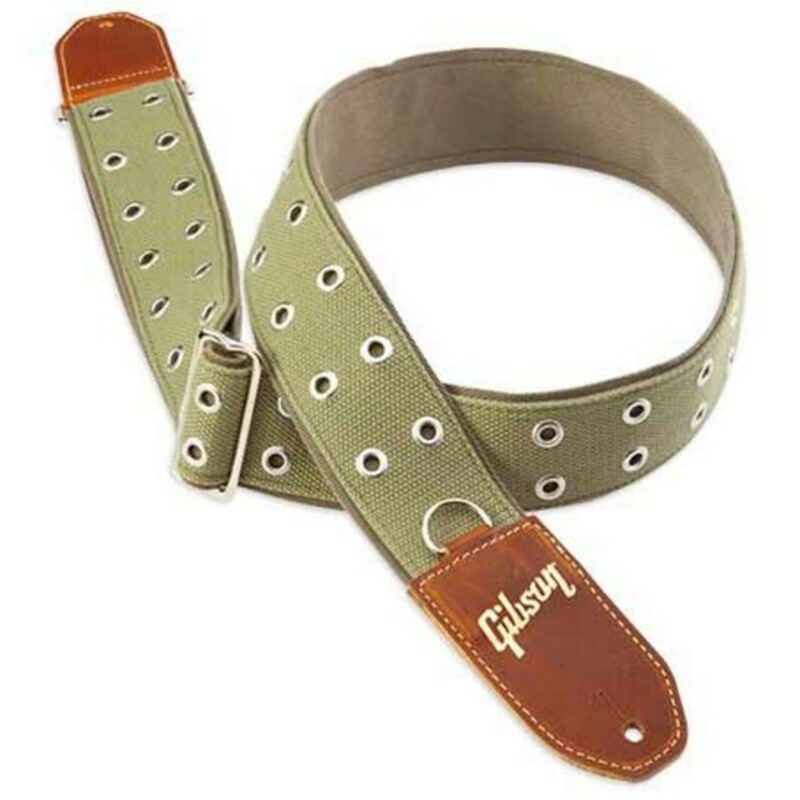 This guitar strap is designed to be non-slip whatever you're wearing and the camouflage green, brown leather and rivet hardware really gives the strap a nice unique style. Complete with Gibson logo, this strap is a great everyday piece of kit for discerning guitarists.